It almost does not matter which MLM you get into. Almost. What matters most is your drive – your desire – your work ethic, etc. You see, I don’t care whether you start a shoe store… open up a restaurant, or jump into an MLM. You are the reason it will or will not succeed. It’s what YOU DO… much more than the given network marketing company you join. The advantage you have in an MLM as oppose to your own shoe store, restaurant, etc. is this: In a network marketing company, you don’t have to worry about billing, inventory, re-orders, employees, manufacturing, overhead, refunds, and all that stuff. The network company, deals with all that and more… all you need to do is dig up leads, and convert leads into buyers. Another advantage you have with a typical MLM is this: All you need is about 100 customers in your “down-line”. ONE HUNDRED!!!!!!!! THAT’S IT. If you own your own shoe store, you’ll need 100 customers a week to make any real money. If you have your own restaurant you’ll need 100 customers a day. But in your average MLM company, all you need is 100 customers. And guess what—80 of those customers will do nothing for you. But 20 of them will get totally excited about the product or service… and THEY will build a down-line under you of about 10,000 customers… and generally speaking, you’ll make $1 per month… off of all 10,000 customers. That means if you bring in 100 customers, you’ll make about $10,000 a month. More or less. And I always say, getting 100 total customers is easier than getting 100 customers every month or every day. 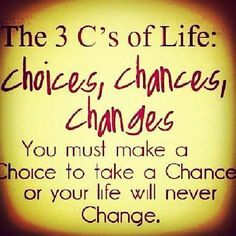 Next… if you’re choosing a MLM company… you need to ask yourself if you’re into security or are you a “risk-taker”? If you’re a “risk-taker”… you would do well in a rather NEW network marketing company. If you’re not, if you want more safety… you might do better in an old MLM company. Want safety, maybe Amway is for you. If you’re willing to take a risk, willing to ride an upward growth curve… maybe Stiforp is for you. Another thing to consider is your personal interests. Are you into vitamins? Finance? Education? Beauty products? Cars? Legal services? There seems to be a network marketing company that covers almost any personal interest. Regarding the compensation plan… it seems to me… they all amount to the same pay out… almost any company out there… MLM or not… has to pay out at least 20% to 50% in sales commissions and selling costs. It’s no different between an MLM or a real estate broker… it’s no different between a network marketing company and your typical insurance office. If they don’t pay out decent commissions, the sales people walk away. If they pay too much to the salesforce there is no money left to pay the other bills. Once you sign up… you need to realize that you can either sale the product, or sell the opportunity. It’s two different markets. Two different approaches. Once you sign up… you need to hone your marketing skills. You can’t hide and wait for people to find you. You need to advertise, make phone calls, send out letters and samples, follow-up with prospects, get into a groove… a habit of reaching out to find your customers. You can use direct mail… the mailing list of opportunity seekers could give you thousands of names. You can go to the golf course and sell in a friendly way to your fellow golfers. You can go to every pampered chef party and buy something and trade out business cards. You can sell at the airport coffee shop. You can mail out post cards with the right message and folks will call you about the product/opportunity. You can buy BILLBOARD time with your message. You can and must develop a marketing SYSTEM. A system that generates leads and a system that converts leads into buyers. What is the entry fee to join these MLM’s? You’re going to pay anywhere from $35 sign-up fee up to one or two thousand dollars. If you join in the bare bones cheapest level, commissions are also the lowest too. Want better commissions. Sign up at the higher level. Even if you have to pay $2,000 to join… it is still a better deal than buying a typical franchise sandwich shop restaurant… which would cost you some $200,000 in franchise fees even before you bought your ham, and napkins, and mustard. All businesses need to sell. All businesses need to market. Nobody gets paid until someone sells something. You’re going to need to learn “how to sell” It’s not hard. Mostly, good selling is just asking some questions in order to find out what they are willing and able to buy. You’re going to get rejected. So what. It’s nothing personal. It means they really are not your prospect or customer. Or it means you need to work on and improve your “selling” skill. It’s a learned skill. For years I was under the idea that MLM was just a scam. But in reality, network marketing companies are no different from any other outfit out there. There is always someone at the top and there are always workers down below. But the advantage of an MLM is – no one is going to hold you back. You get paid what you’re worth to the company. If you sell a lot, you’ll get paid a lot. If you’re lazy and don’t reach out and sell, you’ll make an income that will reflect your laziness. If your are still confused or your need someone to coach you, then call me, trust me I am easy to talk to. MLM basic: why is MLM not a pyramid scheme? MLM Basics: Why are there so many names for MLM? Linwood Austin has written 4 posts in this blog. 25 years as a direct response advertising copywriter, marketing consultant. I think you also have to consider what products or services the company has. First I’d have to understand and like the product myself so that i know what I’m selling, then it would have to be a product that the general understands, uses and buys regularly. That saves you the trouble you’d have to go through to educating the public and your downline about the product.